Personalised gifts are a great way to say I love you at Christmas time! It’s the final countdown – the last few days before Christmas, and if you haven’t sorted out all of your gifts you are cutting it down to the wire! At this point, if you need to send something across the country (or even across the planet) you may be a tad too late for your item to arrive in time for Christmas morning. No worries – here are some fantastic last minute personalised gifts that will show you care – even if they arrive a few days late. Personalised socks – Sending a pair of personalised socks is a cute way to ring in the holidays – everyone loves a pair of fun feet! These “obligatory Christmas socks” from Alphabet Interiors will bring a smile to the face – and the toes- of your recipient. An engraved lighter, key rings, phone case or charger – Engraving day to day items such as lighters, phone chargers, key rings, alarm clocks and phone cases is an easy way to add fun and meaning to an otherwise banal gift. Incrystals does a cracking job of engraving photo images and messages onto these household objects. Personalised key rings? Christmas sorted. 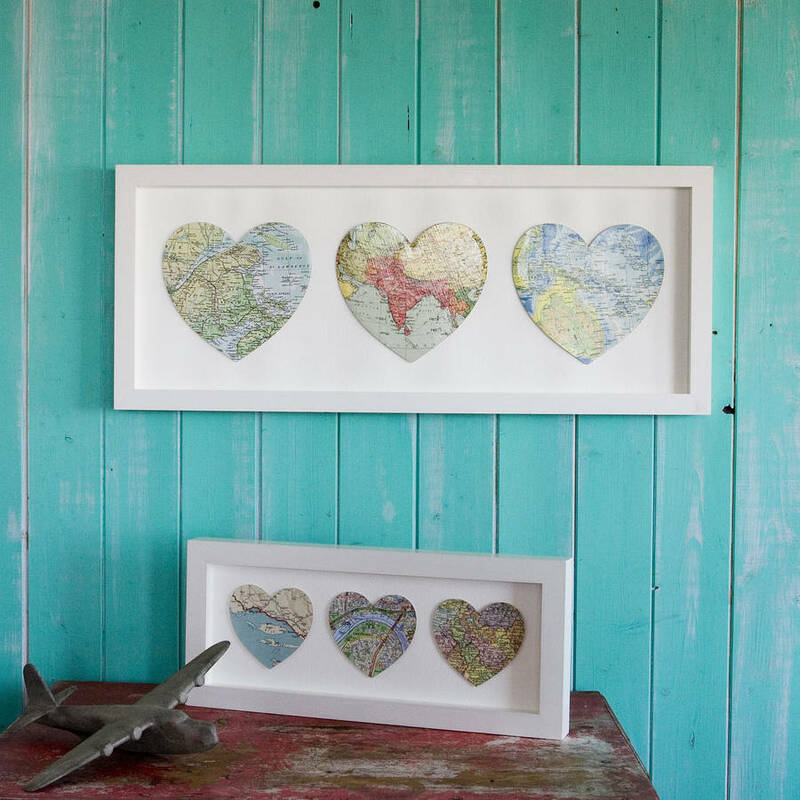 A trio of meaningful heart maps – Bombas does a wonderful job of helping you preserve lovely memories and create a personalised gift for your spouse, friend or family member – you choose three places anywhere in the world, and they create a gorgeous keepsake that anyone would be happy to hang on the wall. A Photo Crystal – These 3D photo crystals make such a great personalised gift for anyone on your list – simply choose a photo that has meaning for both of you, and this state of the art technology can create a photo realistic etching into a crystal block. Ideal as a keepsake, a paperweight or an eye catching accessory, these crystals really show you care. We’re in the final holiday stretch – the final seven days before Christmas Day. If you still haven’t stuffed every stocking and purchased every package then you are swiftly falling behind schedule – now is the time to get your Christmas shopping completed. Here are our top five last minute Christmas gifts that will help you check everyone off of your list and relax with a glass of egg nog instead of panicking on the 24th! 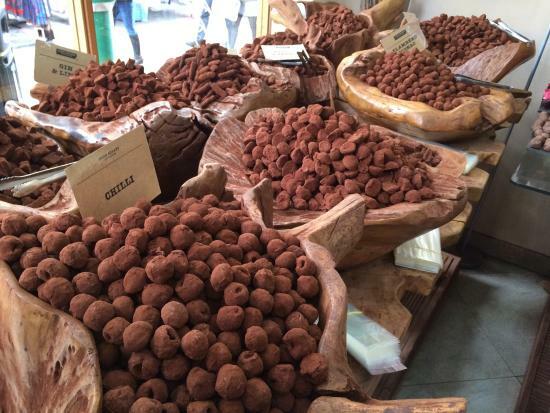 Gorgeous choccies – I know, I know – buying a box of chocolates seems like a cop out, but that is only if you haven’t visited Brick Lane’s Dark Sugars. These gourmet Ghanian chocolates will make every foodie on your list grin from ear to ear, that is, if they can stop chowing down on truffles. Lush goodies– Maybe sweets aren’t for everyone on your list, but that doesn’t mean that they won’t love a luscious treat for the bath or shower. Lush is a seasonal favourite across the UK; their yuletide soaps, bath bombs and body lotions are perfect for both men and women who like a little whimsy with their hygiene. Personalised photo gifts – What better way to say you love someone than by gifting them with a personalised photo gift? 3D laser engraved photo crystals are a really lovely gift for parents or grandparents, and personalised photo key chains make great stocking stuffers. Order soon for last minute delivery before Christmas! Movie vouchers – Gift cards can seem impersonal, but vouchers for a movie always feel different – these make a brilliant gift for most people. After all, who doesn’t love going to see a film?If you want to be a little bit more unique, you can always choose vouchers from an artsy cinema, such as the BFI in London. A museum membership – If your gift recipient has a favourite museum (or museum that allies with their interests that they may not know about yet), consider purchasing them an annual membership. This is not only thoughtful, but helps to keep the institution afloat. As you gather under the tree this Christmas morning you will be creating memories that will last a lifetime – but will your photos stand the test of time? If you want to fill photo albums with lovely pictures and create 3D photo crystals for perfect gifts, follow these Christmas morning photo tips. Double check your batteries and memory card – There is nothing worse than attempting to take the perfect photo, only to realise at the last second that your batteries are dead or your memory card is misplaced. Raise your ISO – Christmas morning gift opening often takes place in low light – hike up your ISO in order to take advantage of the natural light without having to use flash. Focus on the little details – It is the small details that help you to tell the story: the pitter patter of tiny feet, the wee hands gripping a wrapped package, the cat sitting in an empty box. While group shots are lovely, make sure you capture the small things as well. Make sure you are in the photos! – While you are the maestro behind the camera, make sure you have someone else take some photos that actually have you in the frame! Try to position everyone near a window – The natural light coming in from a window will really help you to take some beautiful shots that take advantage of the back lighting from outside. Finally, remember to have fun! – While you want to be sure to get some great pictures, remember to let loose and have fun; everyone’s enjoyment is far more important than a perfect photo. One of the best keepsakes you can create this holiday season is a 3D photo crystal or framed picture of your children sitting on Santa’s knee. If you are preparing to take your little ones to have a photo with the big man himself, you might want to take a few minutes to prepare them for the encounter – after all, not all children enjoy their first experience with what to them is a big, scary bearded gnome. 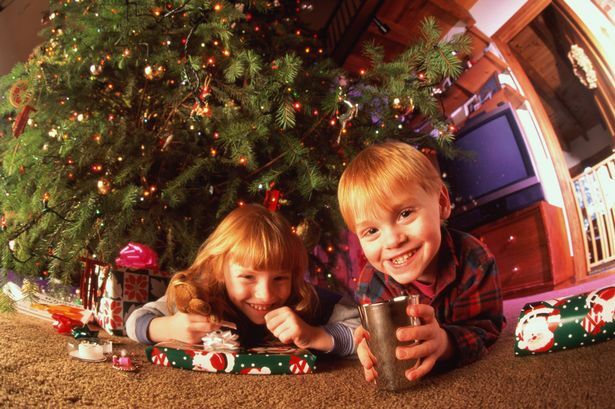 In order to ensure you get the best shot possible so that you can create a lovely unique personalised laser engraved gift, here is a list of tips to help your child overcome their fear of Santa and get the perfect photo. Go slow and gently introduce Santa – Take your little one to the Mall or the nearby Christmas Market on a few “test runs” before planning to take the photo. Allow them to see the other children approaching Santa with no fear, and let them get close to him. Use encouraging words and tell them how nice Santa is – they have nothing to fear. On your third or fourth visit, it is a good time to attempt the photo. Ask around for a Santa who has experience with small children – It is always a good idea to ask friends and family if they know of a local Santa who is exceptionally good with hesitant experience – his calm demeanor will work wonders when it comes to grabbing that great shot. Don’t be pushy or punish – If the first attempt does not go well, be very gentle and loving. If you are too pushy or scolding you will cement bad feelings towards Kris Kringle. Climb on Santa’s lap with your child – Sometimes you just have to join ’em! If your child sees that you are not afraid, they are less likely to be afraid themselves. You might be able to slowly back out of the frame, but even if you remain in the photo it will still be a lovely memory worthy of a unique engraved photo gift. 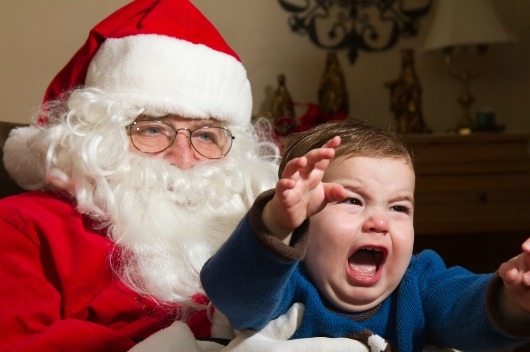 Know when to call it quits – This just might not be the year for a serene and happy photo with Santa – you might just have to accept that a screaming baby is the best you are going to do. After all – these photos can be equally cute in the long run! Laser Engraved Gifts for a Perfect Personalised Christmas! Here we are again – as we enter the second week of December you have probably started thinking about the perfect gifts for everyone on your list. Christmas shopping does not have to be an onerous task that takes up all of your precious time during the holiday season; after all, we all have mulled wine to drink, friends to visit and mince pies to eat! I personally like buying most of my gifts online – it makes things so much easier, and this way I do not have to brave the crowds of the shopping mall or the high street during this most hectic time of year. While the whole world is at my fingertips when I shop online, I love creating laser engraved gifts for my loved ones – these are really special and unique, and are guaranteed to please even the pickiest person on your list. Laser personalised key chains, 3D crystal photo blocks, heart shaped photo crystals – these are so perfect for nearly everyone! Choose a photo of the kids for your parents, a photo of a romantic embrace for your spouse, a rock star key chain for your brother and a silly image of your aunt’s cat – gifts are sorted this year. There is always something so meaningful about a customised photo gift, and these bespoke pieces of art look stunning sitting on a desk, an end table or a mantle piece. To ensure you are set up for Christmas, make sure you get online and order your gifts now. It is so easy – a few photo uploads and you are all set. We are in the thick of the first week of December, and with 21 days left before Christmas everyone is beginning to recognise the impending time crunch! While you may have already started amassing gifts for your kids, spouse and other family members, you may not have started on your stocking stuffers! Often overlooked until the last minute, opening the assortment of trinkets, choccies, socks and other quirky gifts is actually my favourite part of any Christmas morning spent under the tree. There is something so much fun about unwrapping – and filling – a stocking’s worth of unique items. Don’t delay – get started now! One of the gifts that I think is really perfect for anyone’s stocking is a personalised crystal engraved key chain. They cost less than 10 pounds, they are extremely thoughtful, and they are guaranteed to put a smile on your loved one’s face. 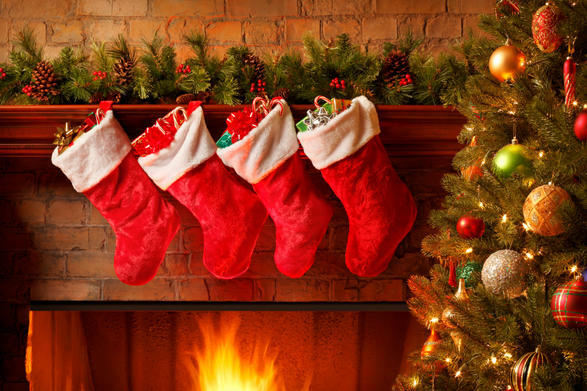 Plus, you can get all of your stocking shopping for everyone done all at once! Teenaged girl – Get the crystal key chain engraved with an image of her favourite pop star – she’ll love it. Grandparents – Have an image of your little one engraved onto a heart shaped key chain – they will adore this. Your spouse – Your smiling face or your wedding picture will delight your husband or wife. A friend – A fun picture of you two together will look great on a personalised key chain. An animal lover – Animal lover in your life? Have their cat or dog engraved on a crystal key chain.